Republican U.S. Congressional District 2 candidate Martha McSally declared victory in her tight race with incumbent Ron Barber during an election night party. U.S. Rep. Ron Barber, Martha McSally. 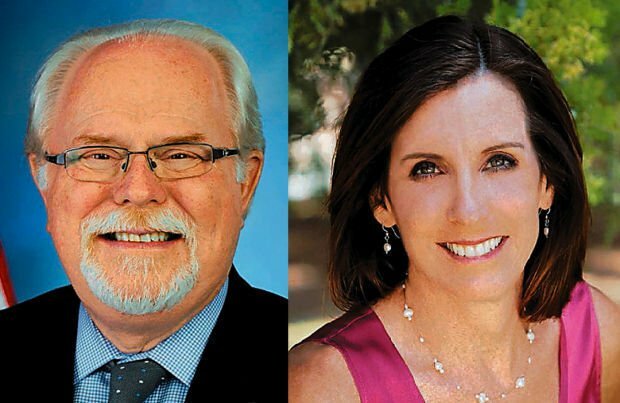 Republican Martha McSally has claimed victory in the Congressional District 2 race after tabulation of the final outstanding votes gave her an even bigger lead over Democratic incumbent Ron Barber. A cache of 213 newly-found early ballots, and a smattering of provisional ballots counted late Wednesday pushed McSally's lead over Barber to 161 votes. The final count also included 89 conditional provisional ballots that were certified Wednesday. 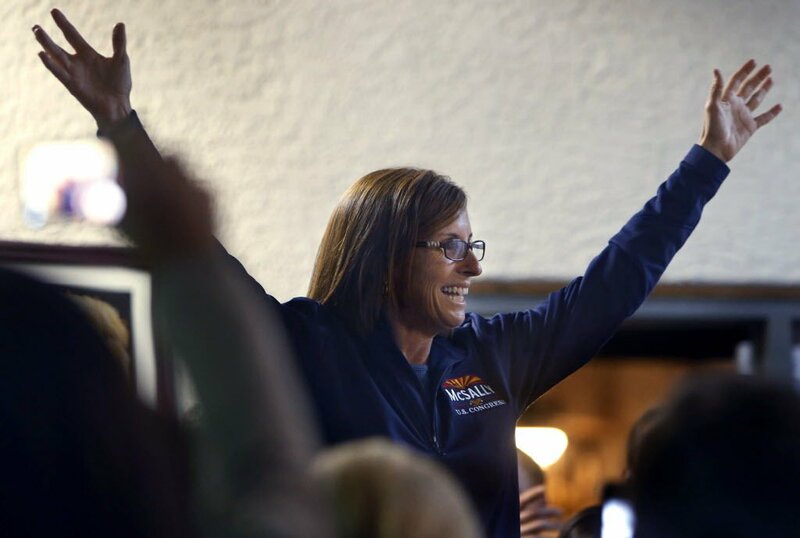 A relieved McSally was meeting with about 150 supporters at the east side El Molinito restaurant when the new totals announced, and gave a short speech claiming victory not long after. Pima County discovered 213 valid general election ballots from this morning that had not been counted, an official said. The uncounted ballots were among a batch of special ballots sent to voters in the Continental Elementary School District near Green Valley. McSally claimed 165 of the additional votes to 137 for Barber. Although that added to her lead, the gap between the two is still close enough to force an automatic re-count. The small school district sits in Congressional District 2, where McSally on Tuesday was holding on to a 133-vote lead over Barber. The new ballots were found while election officials were preparing 7,034 vote-by-mail ballots from the school district. The county had set aside those ballots to be counted after general election ballots had been tallied. Pima County sent special ballots for the school district race after an error in the instructions for the contest was discovered. Those special ballots were sent after early voters in the school district had already received their general election ballots. Voters were instructed to return the general election ballot and the special school district ballots separately. However, the 213 ballots apparently came from voters who sent both ballots together in the same envelope. The newly discovered ballots have been processed and are expected to be counted this afternoon, Deputy County Recorder Chris Roads said. The 11 most popular stories, videos and photos on the Arizona Daily Star's Facebook page in November.